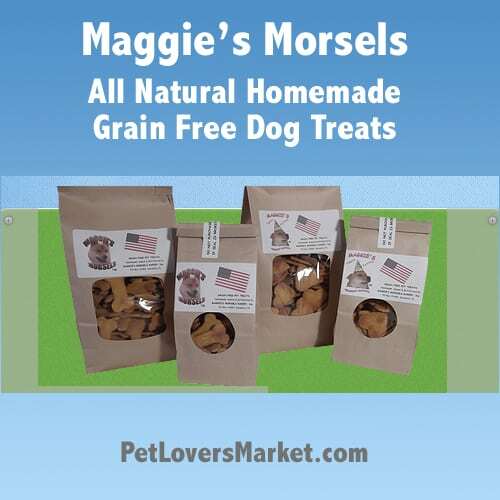 Buy homemade dog treats and give your beloved dogs the very best to eat! 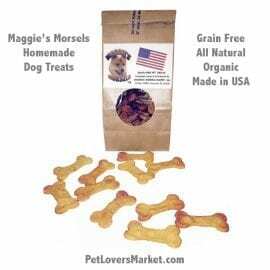 Our collection of gourmet dog treats includes all natural, grain free, and organic dog treats. Healthy, delicious, and nutritious, your dogs will love our homemade dog treats. Choose from cute heart-shaped and bone-shaped biscuits. All of our gourmet dog treats have no grain, no meat, no salt, no sugar, and no preservatives. 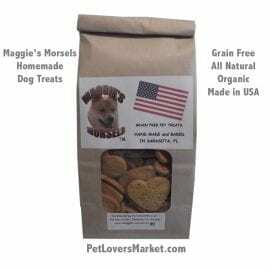 We use the highest quality ingredients in our dog treat recipes. You can rest assured that you’re giving your dogs a scrumptious and healthy dog snack. Many of the dog treats on the market today are equivalent to unhealthy human fast food. In addition, many are manufactured in China. Why would you want to “reward” your dog with bad health and unregulated food products? We are committed to offering treats that your dogs love and you can feel good about.